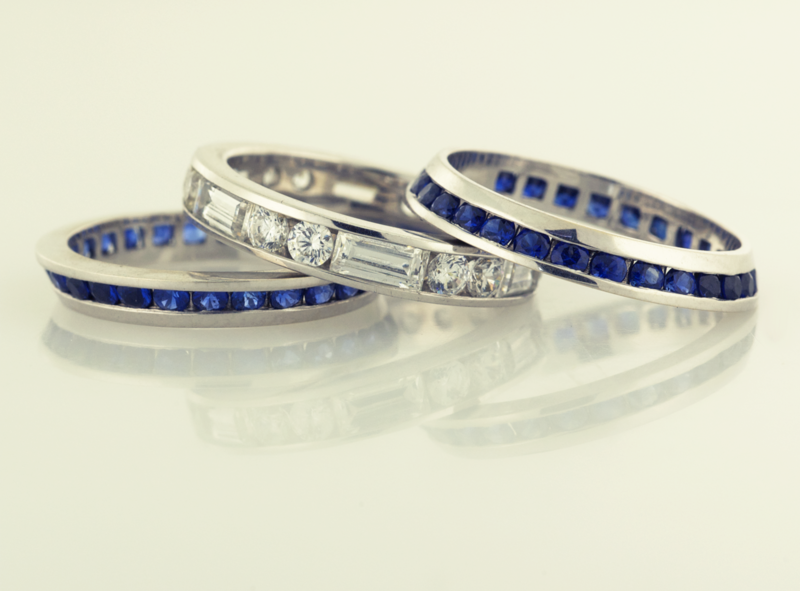 Diamond Eternity Band set with 1.40ct. total weight layout of two round diamonds and one baguette. 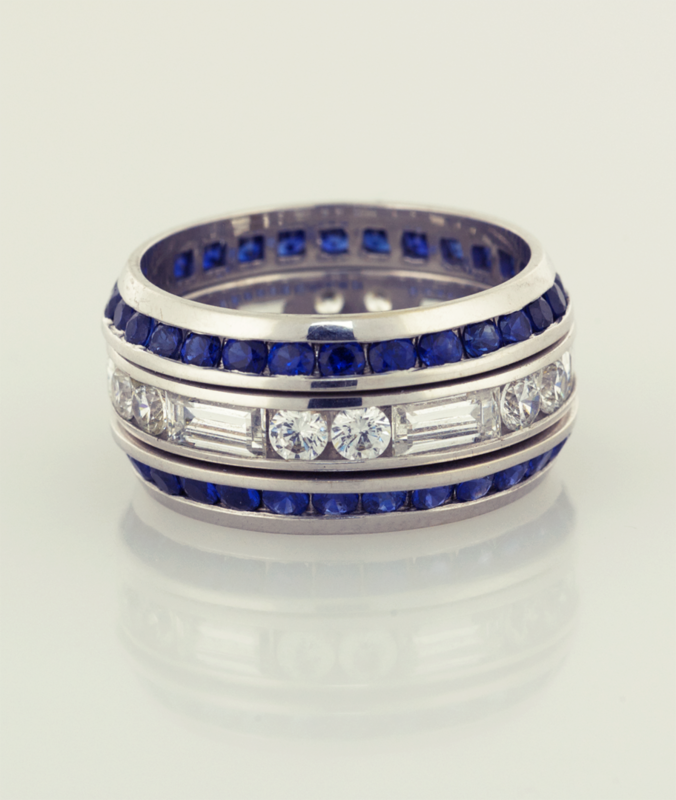 Sapphire Beveled Eternity Bands with 1.5mm round sapphires each have a total sapphire weight of .70ct.